AT COMFORT STAR, WE KNOW OUR SUCCESS DEPENDS ON YOU! Quick and efficient service – your emergency is our priority! All of our sales, service and equipment is handled “in-house”. 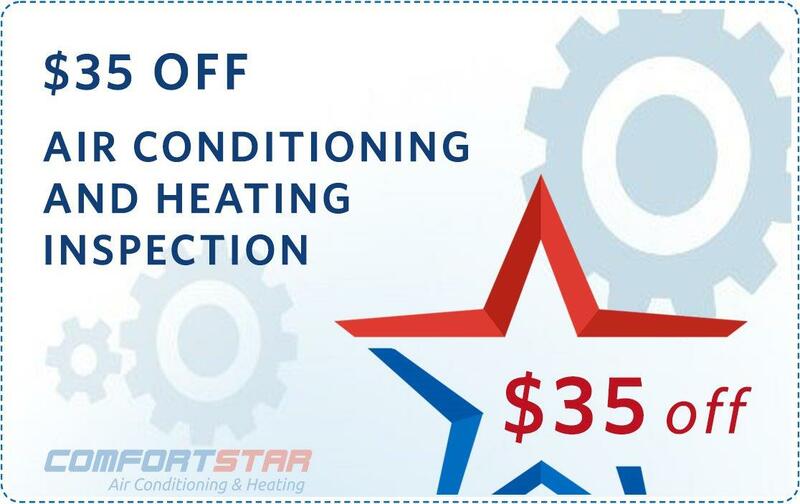 Your first contact with Comfort Star is an expert in the field of air conditioning sales, service, installation and maintenance. It’s very important to feel confident in the company you choose to install, repair and maintain your air conditioning equipment. At Comfort Star, we will investigate the equipment that you currently own. A thorough examination of the equipment, the size of your home or office and your entire system is a very important process, so that we may give you a knowledgeable and informed opinion of your options for keeping your home or office cool and comfortable year-round. This can be a very tough decision for many homeowners. 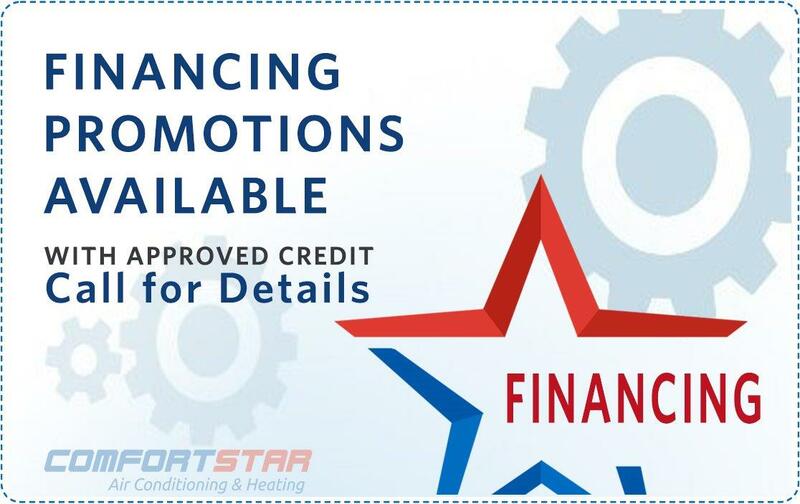 Comfort Star is a company committed to building relationships. We will sit down with you and discuss all of your options on replacing your current air conditioning system. You will be able to see the different options and the benefits so that, in the end, you can make an informed decision. Which system is the right one? Fortunately, over the years, the air conditioning industry has made many great advancements in the areas of clean air, noise reduction, allergy relief, balanced air flow and ease of operation. At Comfort Star, we handle all makes and models of systems and we will help you decide the right one for your home. We are happy to make recommendations and inform you about the new a/c products on the market. 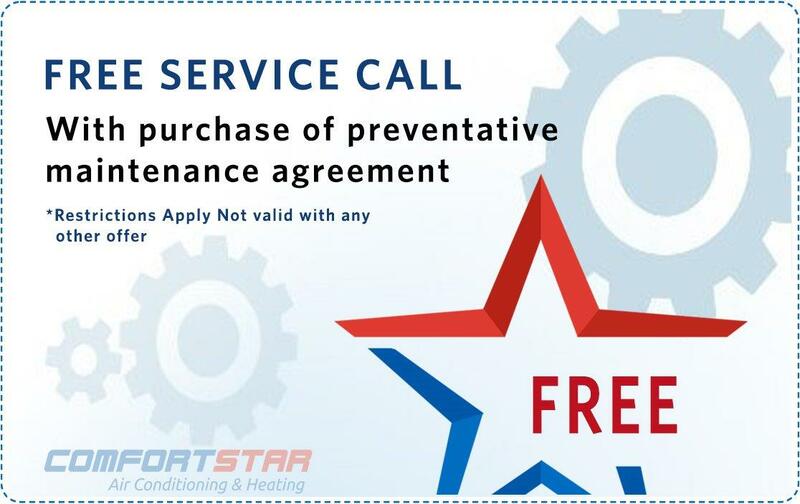 We understand that air conditioning replacement is not an easy decision and we promise to give you all the tools you need to make the best, most informed decision that will benefit you and your family. Our promise to you is that we will recommend the right size system that is best for your home or office. 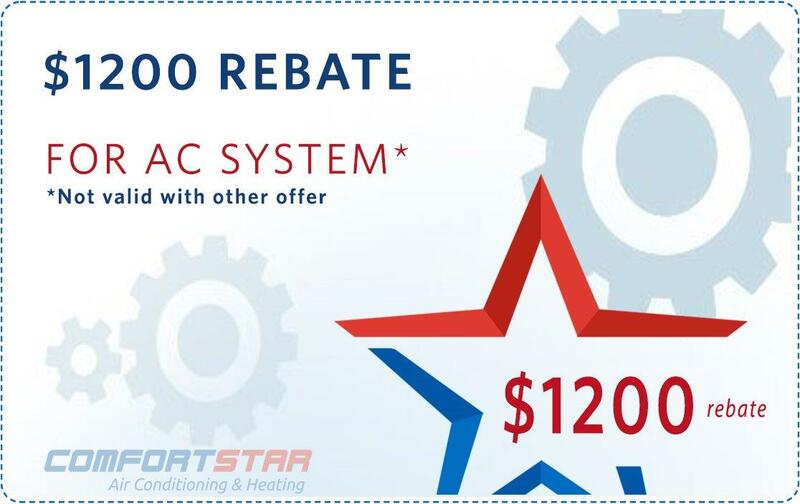 At Comfort Star, we understand that paying for a new air conditioning system may be a challenge for some. 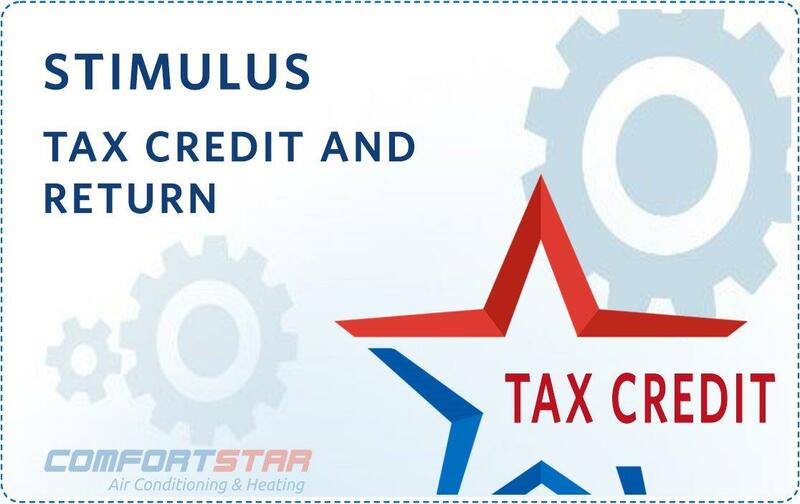 Visit our Financials page and check out our great payment options. It’s our goal to be able to replace your Comfort system with payment plans that are affordable for everyone. Make an appointment today for an AC Replacement Estimate! What about design and installation? A good air conditioning system is quiet, efficient, clean and balanced. 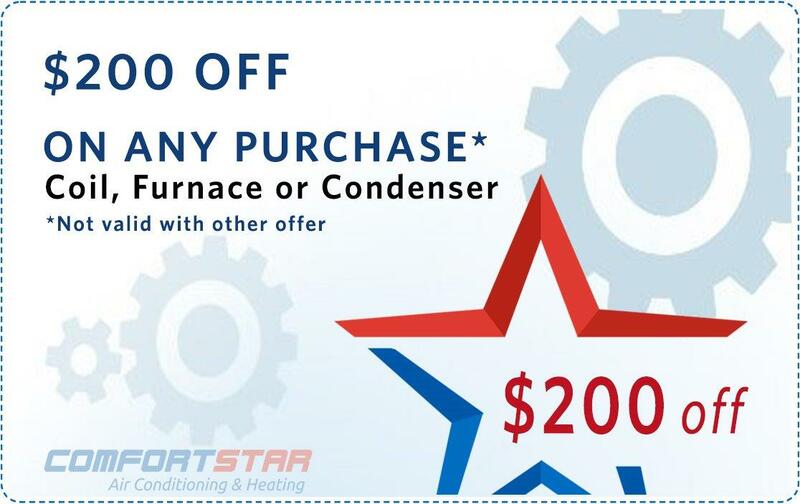 Comfort Star technicians and installation teams know and understand the science behind a system designed to effectively reach all areas with equal air flow. We have experience working with challenging floor plans that require our special attention to the details of successful air flow and balance. 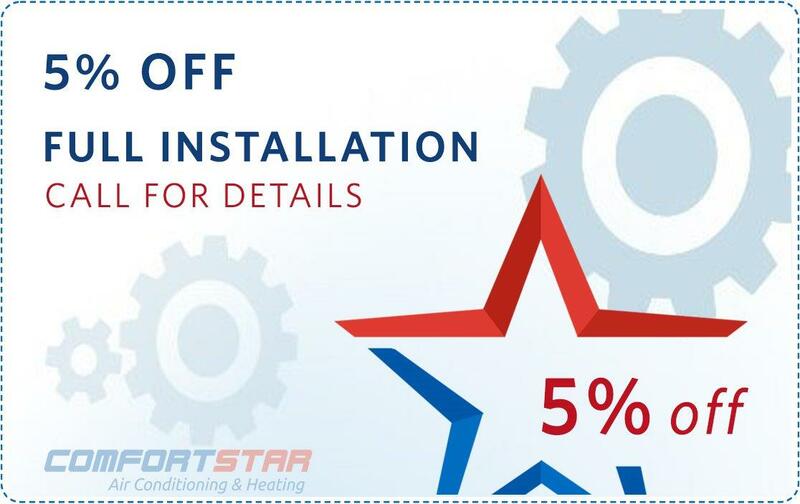 At Comfort Star, we are proud of our installation process. We start at the beginning – by keeping our promises! We promise that we will be there on the day that we are scheduled to be, at the time that we said we would be there. We are a company that believes in keeping your home or office clean and we promise to take all measures to minimize dust and dirt. We don’t whistle while we work or play loud music! We will work as quietly and as quickly as possible, honoring your parking and entry guidelines. In the end, we will not leave until we are sure that your system is up and running as promised. 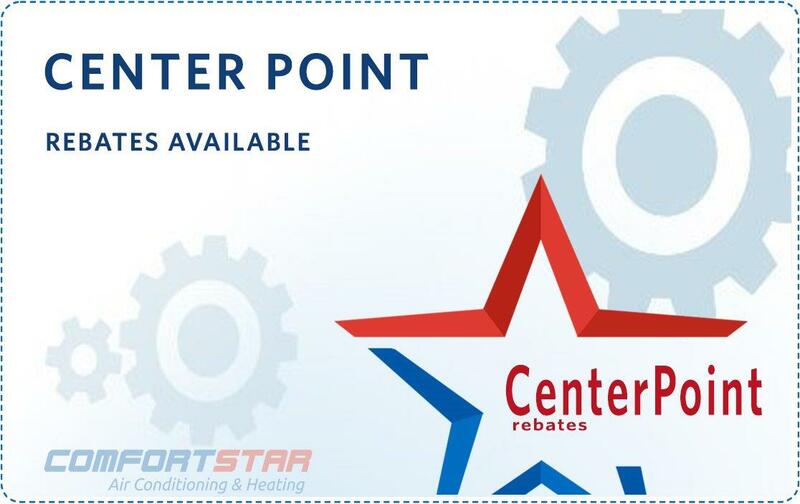 The technician will make sure that you are able to understand and operate your thermostat and that you have all reference materials necessary to operate your new a/c system. A walk-through will be conducted to make sure the air flow is balanced correctly. Our job is finished when we have your complete approval. After a few days of living with your new unit, we will be happy to come back and make any necessary adjustments. That’s part of our service and our promise to you!